Netflix would never be able to offer such an extensive library of movies and TV shows if it wasn’t for the fact that the online streaming giant doesn’t pay for global licensing. That’s why some content is available only in certain countries, and it’s also why so many Netflix users use a VPN service like NordVPN to access the huge content library from the US Netflix. NordVPN is a provider of a virtual private network (VPN) service. It launched in 2012, and it has since then earned a number of prestigious awards from important tech magazines and review sites. Unlike many other competing VPN services, NordVPN is based in Panama, which means that it doesn’t have to record the activity of its customers. Select whichever plan is the most suitable for you. • 3-year plan: $2.99 a month with $107.55 billed every 3 years. We highly recommend this plan to all long-term VPN users. There are not many VPN services out there cheaper than this. • 2-year plan: $3.99 a month with $95.75 billed every 2 years. • 1-year plan: $6.99 a month with $83.88 billed every year. ✔ NordVPN gives a 30-day money-back guarantee to all new customers, there’s really no reason to purchase the 1-month plan just to try NordVPN out. Instead, we recommend you immediately choose the 3-year plan and ask for a refund if you end up not liking NordVPN. • Don’t worry, NordVPN will never share your information or send you spam emails. NordVPN accepts credit cards, cryptocurrencies, AliPay, and many other payment methods. You can also make a payment through iTunes and Google Play or purchase a subscription by cash if you are living inside the USA. Download the NordVPN app for your device and install it. Launch the app and make sure SmartPlay is activated. • SmartPlay should be activated by default on all versions of the app, but it doesn’t hurt to make sure that it really works. Connect to one of NordVPN’s USA servers to watch the US Netflix. Netflix CA: You should connect to any NordVPN server in Canada. Netflix JP: You should connect to any NordVPN server in Japan. Netflix UK: You should connect to any NordVPN server in the United Kingdom. Netflix NL: You should connect to any NordVPN server in the Netherlands. But arguably the best thing about NordVPN is its global coverage. The service has more than 5,200 (yes, that’s not a typo) servers in over 62 countries around the world, giving you plenty of options how to securely connect to any website from anywhere in the world without giving out your real IP address. NordVPN is known for its affordable prices, which start at just $2.99 with a 3-year contract. All new customers can enjoy a 30-day money-back guarantee, which goes to show just how confident NordVPN is when it comes to the quality of its VPN service. Thanks to SmartPlay technology, NordVPN customers can access their favorite streaming sites, including Netflix, with no extra steps. Essentially, SmartPlay bundles a VPN service and Smart or Dynamic DNS into one product, allowing you to enjoy online security and strong encryption with the stability and fast speed of Smart or Dynamic DNS. All NordVPN apps enable SmartPlay technology by default, so there’s nothing at all to set up. You simply open your NordVPN app, tap the Quick Connect button, choose a country, and enjoy access to hundreds of online streaming services. Why Is NordVPN the Best VPN for Netflix? To understand what makes NordVPN the best VPN for Netflix, you need to understand how Netflix blocks VPN users and why most VPN services don’t work with this streaming service. All VPN services operate a certain number of secure servers, which are typically located in different countries around the world. These servers are shared among all users of the particular VPN service, which means that multiple users often receive the same IP address. That’s not a problem if we’re talking about 5 or 6 users because that’s about how many internet-connected devices most families have. However, when hundreds of users connect to Netflix from the same IP address, you can be sure that Netflix will immediately know that they’re behind a VPN server. When that happens, Netflix simply bans the IP address. That’s bad news for the users of smaller VPN servers that operate just a couple of hundreds of servers, but it leaves the users of NordVPN unaffected. With more than 5,200 servers, NordVPN is one of the largest VPN services in the world, so it always has many clean IP addresses that work flawlessly with Netflix. NordVPN is also optimized for P2P activities, including torrenting. That separates it from other VPN providers because they often discourage customers from using VPN with P2P by throttling your bandwidth and intentionally slowing down the service. 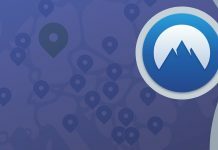 NordVPN does no such thing, providing hundreds of servers optimized for P2P activities instead. Netflix subscribers often complain that it’s not fair that they can’t watch all movies and TV shows that are available to subscribers in the United States. The good news is that everyone can watch the US Netflix thanks to affordable and reliable VPN services like NordVPN. With thousands of servers around the world and native support for online streaming, NordVPN is the best choice for all Netflix subscribers who are tired of not being able to watch their favorite shows just because they don’t live in the United States. Of course, NordVPN is also perfect for US Netflix subscribers who actually do live in the United States but often travel abroad and want to enjoy full access to their favorite movies and TV shows on Netflix. With its attractive discounted plans, polished mobile and desktop apps, and state-of-the-art privacy and security features, NordVPN is really the best VPN for Netflix, and it has convinced us that it’s well worth the price. Previous articleIs NordVPN Still the Best VPN in 2019?